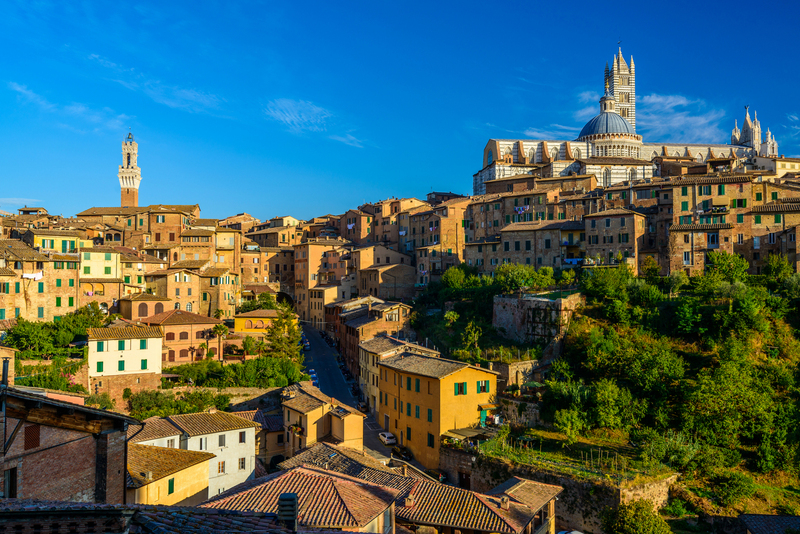 The beautiful walled city of Siena is everything a medieval Italian town should be; it’s perched on top of three hills, chock-full of steep, rambling red-brick lanes, and surrounded by rolling hills covered with lush vineyards and olive groves. Many people rush through the city, eager to marvel at the culture and museums of Florence, but Siena itself is a worthwhile destination jam-packed with fascinating history, incredible Gothic architecture, and heavenly food at every turn (of which there are many!). It’s definitely worth spending a few nights here if you have the time, and thankfully visitors are spoiled for choice when it comes to accommodation. 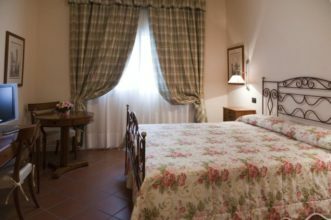 Whether you’re here to admire the soaring Gothic architecture, indulge in a wine-tasting at one of the many surrounding vineyards, or become an enthusiastic spectator at Il Palio (a colourful, traditional horse race that happens twice a summer), you should have no trouble finding the perfect place to lay your head. 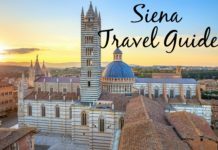 Siena sees a fair number of tourists, so the city is overflowing with hotels to accommodate them, ranging from very basic to very luxurious. When selecting a place to stay, it’s worth factoring in the location; the steep streets of the city are certainly picturesque, but they can also be hard on your legs if you spend the whole day sightseeing. Pick a place that’s easily accessible by public transport, and you’re guaranteed to thank yourself more than once. 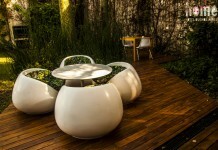 For those in search of a bit of luxury, the Garden Hotel Siena is a great option. We stayed here for 2 nights and enjoyed every minute of it! 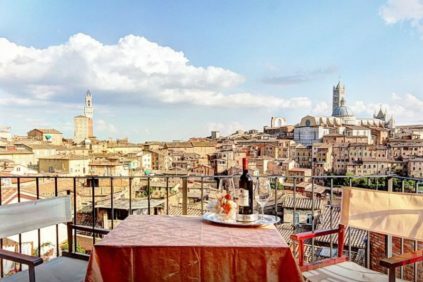 It’s a 4 stars hotel in Siena that’s conveniently located just outside the walled portion of the town, a few minutes away from Siena’s city centre. 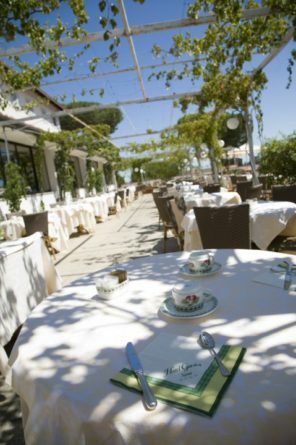 If you’d rather take a break from sightseeing for an afternoon, the hotel offers a tennis court and two outdoor pools perfect for escaping the Italian summer heat. 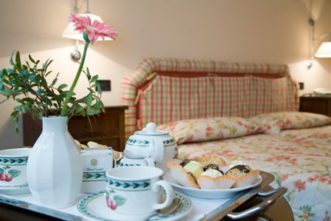 An undeniably big part of Siena’s charm is the beautiful, natural surroundings, and the same can be said for this hotel; it’s located in a beautiful eighteenth-century park full of rose gardens and elegant statues. The amazing buffet breakfast served every morning on the rooftop terrace is a huge plus! 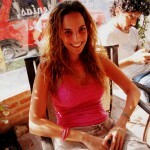 Another great option that we recommend is Airbnb. Most of the accommodation options on Airbnb are very conveniently located in the heart of the old town, but as with the hotels, it still pays to check if you’re near a bus stop. Your legs will thank you! It’s also worth checking if your chosen rental offers breakfast, as not all of them do. Thanks to the nature of the site/app you have an astonishing array of options, ranging from simple beds that will only set you back 9€ per night to luxurious countryside villas that cost upwards of 2000€. There’s good news if neither of these extremes appeal to you; most of the accommodation available runs between 50€ and 120€ per night. 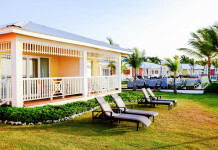 You might have some trouble deciding on a place to stay, but only because most of the options are tastefully decorated and conveniently located near restaurants, shops, and tourist attractions. This option is perfect for people who want to experience a taste of daily life in this historic city, connect with a local resident, or even for those looking for the comforts of home. 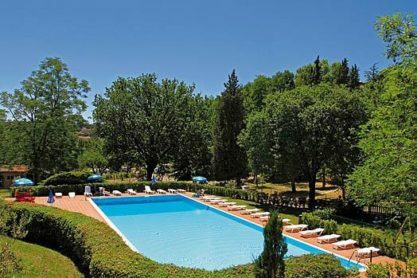 Those with an adventurous streak should consider camping; the countryside around Siena is some of the most picturesque in Italy, and this is a great accommodation option that allows you to take full advantage of the beautiful surroundings. If you love the outdoors and have visions of drinking wine while you sit around a crackling fire on a Tuscan summer evening, camping might be the way to go. It’s a great way to get outside and an even better way to save some cash; in high season, a family of four with a tent and a car can sleep for 49€ per night. 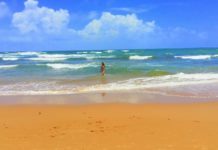 There are several campgrounds in the area, but the most convenient by far is the recently-renovated Camping Colleverde, which offers mobile homes for rent in addition to traditional campsites. 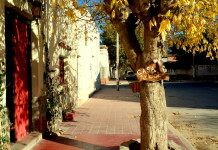 The location is ideal, less than 3 km from the city center and easily accessible by public transport. (This is super important; cars aren’t allowed in the walled portion of the city without special permits). We love camping so on thus trip we decided to mix luxury with camping. So after 4 nights in the city we went for a few more nights camping. The campground offers amazing panoramic views of the city, brand-new bathroom and shower blocks, and a beautiful swimming pool that’s open all summer. They even have a restaurant onsite (open March to October), so you can try traditional Tuscan cuisine or enjoy a wood-fired pizza without having to make the trek back into town. That being said, you should absolutely make sure to have dinner in town once or twice! This is Italy, after all, and you’ll be blown away by what’s on offer.